The Difference one simple Framework Diagram makes! Most of us enterprise architects, have heard of the term ‘Enterprise Architecture Framework diagram’, and know the benefits it gives. But do we have ever created one, and is that one used in our organization? It is only a simple diagram that is easy to create, providing stakeholders much control. Well, the answer often is: no! 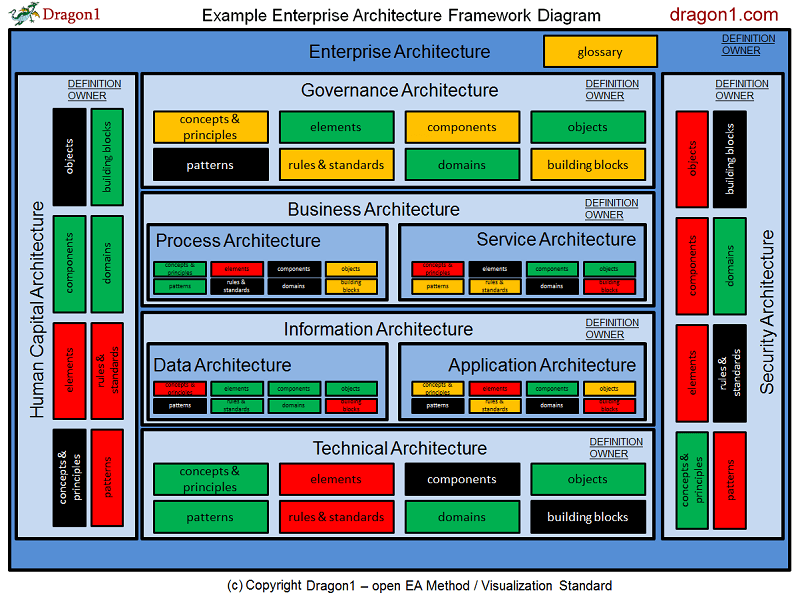 In this blog, I will show you a Dragon1 open EA Method example of an Enterprise Architecture Framework diagram which is used in practice. I will tell you why I always start creating a diagram like this. I will argue why you did not create it up till now. And I will finish with some initial steps to get you going in creating your own architecture framework diagram. Happy readings I'd say! Just an example of what you might be creating tomorrow! That does not look to complicated, does it? It is just one A4-sized page diagram that shows the architectures that are present in the organization. Above that, the first diagram of this blog, shows a management report on top of it, telling with colors the current status and quality of working with architecture in the organization: what architecture products for what architectures are available or not, and are they performing well. The Enterprise Architecture Framework Definition says there diagram presented here is a skeleton, a schema for what architectures are recognized in the current or future situation of the organization, and what the important parts of the architectures are. For instance business models and IT architecture principles definition. Enterprise Architecture Framework also has the meaning of 'Method' like the TOGAF Definition for Enterprise Architecture Framework. But for that 'method' also an Enterprise Architecture Framework diagram can be created. This blog further zooms in on Enterprise Architecture Framework as a schema for architectures in an organization. The example diagram in this blog is actually an anonymized management report view compliant to the Enterprise Architecture Framework Definition for a real organization. It gives progress and status information on what parts are present and how well they do their job. All this in just one static A4-sized picture. What if you would not only have a static version of the Enterprise Architecture Framework but have also an interactive version. Meaning that with mouseover on an item of the diagram, you get a popup with background information on that item (like plans, docs and detailed diagrams) and you can go to that background information just by clicking on it. 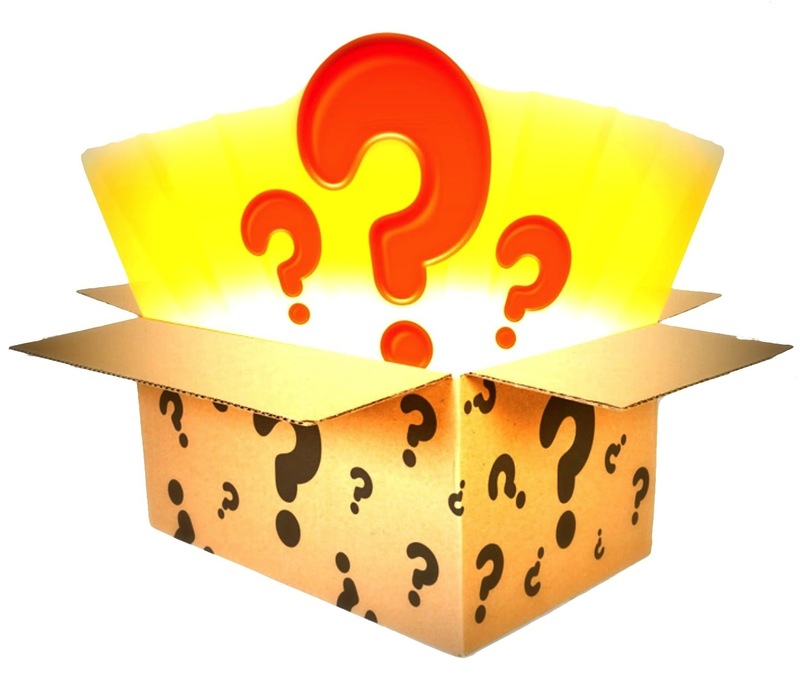 And to go just a little bit further: What if every chief, steering committee member or project manager in the organization could click on a list with projects to get his view of the architecture framework for that project? That would mean you give steering controls in the hands of management to keep the projects on the road and on tracks. Real-time! 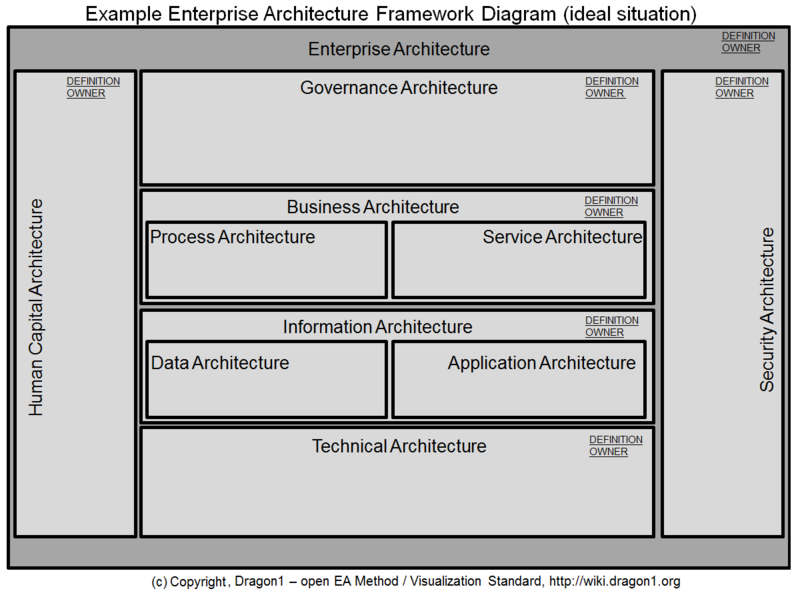 Here on Dragon1 we have an Enterprise Architecture Framework diagram template for you, to get started really quickly. So why do you not have already create an Enterprise Architecture Framework diagram like this, static and or interactive? The answer to that question is pretty simple: you were busy doing your work as a fireman: solving problems ad hoc. And that left you no time to think on how to do things better or in another way. Your stakeholders were not complaining, they were not missing anything. Here on Dragon1 there is a service desk available for you as user to support with any question on enterprise architecture and creating of enterprise architecture products. 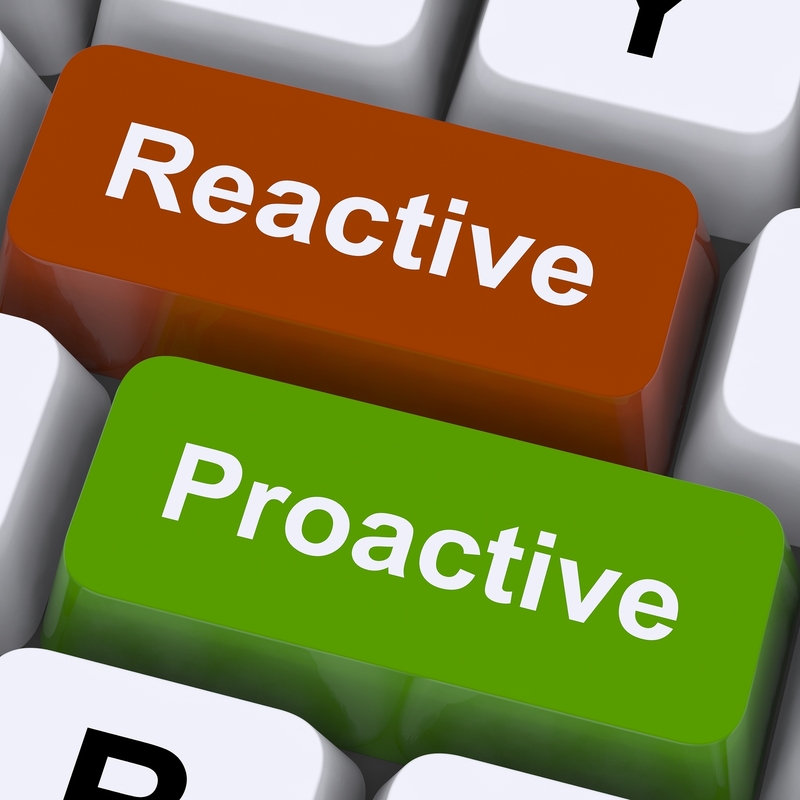 So here’s your chance to be proactive! Years ago, just like you, I did not yet create Enterprise Architecture Framework diagrams. Where did I get my inspiration? Just by looking at other fields of work, how people reported to stakeholders and have them make decisions supported by report views / diagrams. And this inspiration brought me to develop this Enterprise Architecture Framework diagram and via a change request make it part of the Dragon1 open EA Method. People just love having colored overviews, especially in complex environments where a lot of people have lost overview or when there is no common view of the context. Enterprise architecture just asks for framework diagrams to give people control. Overviews have the benefit of enabling priorities when taking strategic management decisions. That is really the most important reason to create an Enterprise Architecture Framework diagram: to have stakeholders take correct decisions or have them make decisions at all. The second important reason is that an overview lowers the stress level of stakeholders. If you don’t know what things look like or do not have an overview, people tend to get stressed, and for one, they are not ready to take drastic decisions, because they don’t know if it good, or bad or the right decision to take it now. So this is basically why I always create an Enterprise Architecture Framework diagram for stakeholders. As an enterprise architect, you are the designer of total concepts for the enterprise structure (like a building architect for building structures). When you and other architects have created a solution architecture or another architecture for a project, it is really a conceptual design of the solution which the project is realizing. Because the architecture may not have been created by the project itself or in an assignment by the same stakeholders, owner/clients, the resulting architecture may contain solutions based on conflicting interests and requirements. A Security Officer or Chief Information Officer may, for instance, have put a ‘no open source’ principle in the Security Architecture or ‘single source of truth’ principle Information Architecture that conflicts with the ‘Bring your own mobile device’ Application Architecture of the project's solution. In this case, an enterprise architect can help the project manager a great deal by using the Enterprise Architecture Framework diagram to show where things align and do not align. During a project, requirements shift and the world keeps on changing, an enterprise architect can help the project manager at every day of the project to do this alignment. Not just before or at the start of the project. Because the ‘fun’ of change only starts when a project is well on its way! And then the diagram is used weekly for reporting and is it of high value for visual risk management and control. Everyone knows that time is always running fast. That means many projects are started up even when important things are not in place yet. And not always this leads to problems but sometimes it might. The Enterprise Architecture Framework diagram reports quickly for chiefs and managers what architecture parts are in place and are not in place and what impact it has on the project. And I am just scratching the surface here: An Enterprise Architecture Framework diagram is a very handy tool for a project manager, but he needs an enterprise architect to know of its existence and to create it for him. First, you crawl, then you walk, before you can fly! What architectures are currently or in the future recognized in the organization and who is the owner of this architecture? And where can I find that information I need? What standards (frameworks/methods) do we use for working with architecture? What do we as organization consider to be the important parts of an architecture? Do we follow a standard or do we have our own vision of working with architecture? How do strategy, requirements, architecture and project relate? Can I draw a model of that? If ownership, architects, architecture principles, concepts, models, rules,…etc. are the important parts, where can I find information about it? What is the source of information for these parts and what is the status and who is the owner? What important parts of architecture are current present, available to use or planned? Is there a glossary of terms in the organization so we have no ambiguity on the words I use in the framework diagram? Are you in the mood of creating an Architecture Framework Diagram yourself on Dragon1? An Enterprise Architecture Framework diagram is useless when it is empty. So you need to fill it with data and give the data meaning, ergo turning it into information. Data often is not presented on a silver platter for you in the form you need it for the framework diagram. So you can as busy enterprise architect reserve a few minutes a day to complete the Enterprise Architecture Framework diagram. And when, after some weeks, it has some completeness, present it to a chief or manager. Then you ask for time to really complete the diagram and make it useful for supporting decision making by chiefs and management. Really, trust me, this works! Every time! And if you do not have 5 minutes of time every day left to work on your secret project (the framework diagram), you may use the example in this blog and show it to your boss and perhaps you may get the time to create your own version of it. ‘Every journey starts with the first step’. So why don’t you, given the chance you may like this blog, start following the checklist? What are the architectures recognized in your organization? And what are the important parts of architecture? And are they available to use? And to stay away from remarks like ‘you are doing architecture for architecture only’: always link your effort and time to support project managers in aligning the architecture with the project solution before showstoppers appear! Well I hope I have inspired you to start working on your secret project ‘the framework diagram’ and that you might even want to consider to create an interactive version of it using Dragon1 Innovation Lab. On Dragon1, we have a reference Enterprise Architecture Framework diagram you can reuse and can adjust to your situation quickly, including the link to your projects. Either way, static or interactive, I wish you lots of benefits in your organization making use of the first aid kit for projects: The Enterprise Architecture Framework diagram.